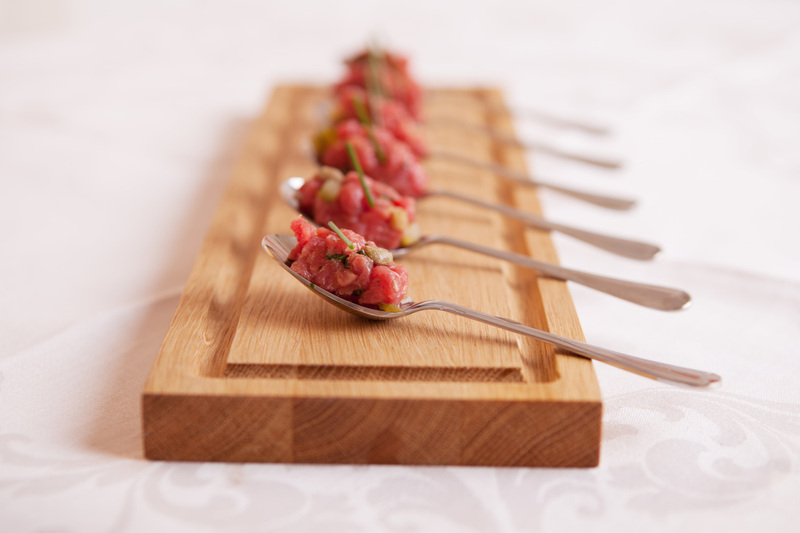 Canapé evenings are one of our favourite, as well as most popular, events to cater for. Ideal for a small get together or a casual social event. They are a perfect opportunity to sample smaller, bite sized, portions of some of the larger dishes that we offer as well as a multitude of other combinations. A selection of up to 12 different canapés*, hand-picked by our chef to accommodate your food preferences, enjoyed in the relaxing environment of your own house at your own pace. Prices depend on both the number of guests and location. Contact us directly at events@brown-goose.co.uk or click here to fill out and event enquiry form.